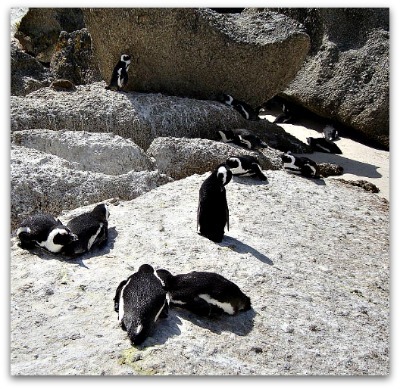 Boulders Beach is just around the corner from the seaside village of Simons Town. 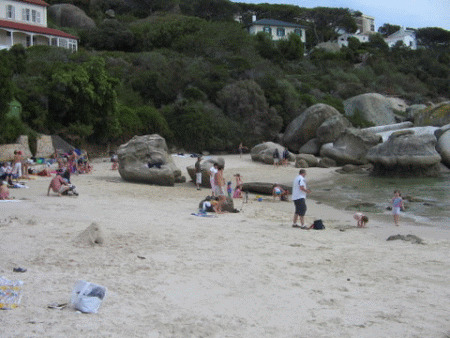 This beach is ideal for kids as huge boulders shelter the cove from currents and large waves. 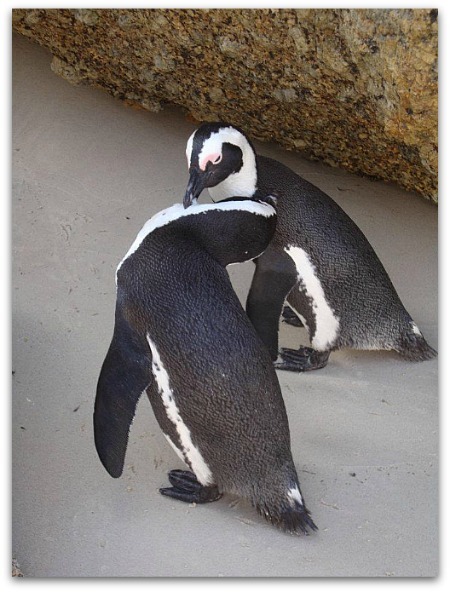 But the main reason to visit this beach, is the fact that you will be sharing it with African penguins. These penguins, formerly known as Jackass penguins (the braying sound they make, sounds like that of a donkey) make their nests in the vegetation next to the beach. Don't touch or feed the penguins. They might look cute and cuddly but their beaks are as sharp as razors and they will bite if they feel threatened. The visitor centre provides access by means of boardwalks that lead you over the dunes and thread their way through the colony. 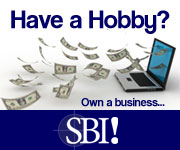 Watch them as they go about parading up and down and showing off. Get to the beach early as it is a small beach and can become crowded. Get a wild card to enter the visitors centre. This card is valid for one year and allows you free entrance to all parks, reserves and resorts of SANParks and CapeNature. 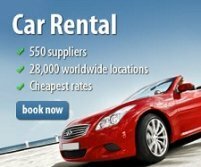 If you had to ask me if it is worth visiting I won't hesitate to urge you to visit. If you have small children, you must definitely go show them the penguins. Onthou om vroeg te gaan as jy na die strandjie toe wil gaan, want dit is maar taamlik beknop. Dan raak parkering 'n probleem, want dit raak dan 'n lang stap om op die strand self uit te kom. Dan wil ek beklemtoon hoe waardevol die "wild" kaart is waarna ek hierbo verwys, want jy kan sommer baie geld spaar as jy dit benut, soos ek wel doen. 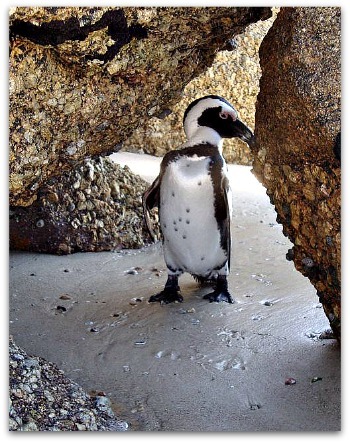 Return from Boulders Beach Page to Homepage.